You'll discover tucked-away gems like Zwinger and Bruehl Terrace. Change things up with these side-trips from Dresden: Bad Schandau (Basteigebiet & St.Johanniskriche), Bastei Bridge (in Lohmen) and Amselsee (in Rathen). Next up on the itinerary: examine the collection at Neues Grünes Gewölbe, explore the world behind art at Gemaldegalerie Alte Meister, look for gifts at Ullmann's Laden, and don't miss a visit to Procession of Princes. For maps, photos, where to stay, and other tourist information, use the Dresden trip planner. Singapore, Singapore to Dresden is an approximately 17-hour combination of flight and train. You can also fly. The time zone changes from Singapore Time to Central European Time, which is usually a -7 hour difference. Plan for much colder temperatures traveling from Singapore in March, with highs in Dresden at 9°C and lows at 0°C. Wrap up your sightseeing on the 9th (Sat) to allow time to take a train to Berlin. You'll explore the less-touristy side of things at Room Escape Games and Memorial and Museum Sachsenhausen. Step out of Berlin to go to Potsdam and see Potsdam's Gardens, which is approximately 50 minutes away. The adventure continues: examine the collection at Neues Museum, browse the exhibits of Kaiser Wilhelm Memorial Church, pause for some photo ops at Victory Column (Siegessaule), and explore the wide array of goods at Kaufhaus des Westens (KaDeWe). For ratings, traveler tips, and tourist information, go to the Berlin route maker . Traveling by train from Dresden to Berlin takes 2 hours. Alternatively, you can drive; or take a bus. Finish your sightseeing early on the 12th (Tue) so you can travel to Helgoland. Heligoland is a small German archipelago in the North Sea. You'll discover tucked-away gems like Biologische Anstalt Helgoland and Helgolander Kegelrobben. Change things up with a short trip to Sankt Peter Ording Beach in Sankt Peter-Ording (about 58 minutes away). And it doesn't end there: pause for some serene contemplation at Sankt Nicolai Kirche Helgoland, don't miss a visit to Lange Anna, admire the landmark architecture of Hummerbuden, and take in the history at Festung Helgoland. To find reviews, traveler tips, and tourist information, use the Helgoland road trip app . Explore your travel options from Berlin to Helgoland with the Route module. Expect a daytime high around 9°C in March, and nighttime lows around 1°C. Wrap up your sightseeing on the 15th (Fri) early enough to travel to Hamburg. 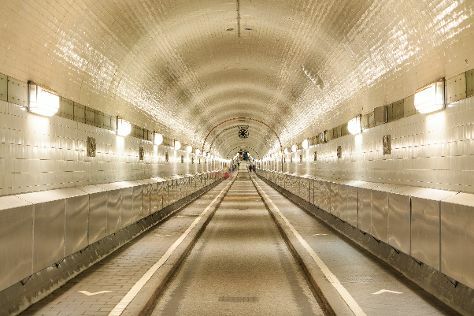 Kick off your visit on the 16th (Sat): don't miss a visit to Rathausmarkt, steep yourself in history at Alter Elbtunnel, then admire the striking features of Speicherstadt, and finally test your problem-solving skills at popular escape rooms. Here are some ideas for day two: get a taste of the local shopping with Jungfernstieg, admire the natural beauty at Park Planten un Blomen, then contemplate in the serene atmosphere at Church of St. Michael, and finally ponder the world of politics at Townhall. To see reviews, other places to visit, and more tourist information, read Hamburg trip itinerary builder app . Use the Route module to find suitable travel options from Helgoland to Hamburg. March in Hamburg sees daily highs of 9°C and lows of 0°C at night. Finish your sightseeing early on the 17th (Sun) to allow enough time to drive to Ostseebad Binz. Step off the beaten path and head to Insel Vilm and Seaside Promenade. For photos, other places to visit, maps, and tourist information, go to the Ostseebad Binz trip planner . Getting from Hamburg to Ostseebad Binz by car takes about 3.5 hours. Other options: take a bus; or take a train. In March, plan for daily highs up to 8°C, and evening lows to 3°C. Finish your sightseeing early on the 20th (Wed) to allow enough time to travel to Usedom. You'll explore the less-touristy side of things at Streckelsberg and Bockwindmuhle Pudagla. Get out of town with these interesting Usedom side-trips: Strandpromenade (in Zinnowitz), Piraten der Ostsee Abenteuer-Minigolf (in Trassenheide) and Usedom Keramik Regional (in Bannemin). To find ratings, traveler tips, maps, and more tourist information, read our Usedom trip planning app . Getting from Ostseebad Binz to Usedom by car takes about 2 hours. Expect a daytime high around 8°C in March, and nighttime lows around 3°C. Finish your sightseeing early on the 23rd (Sat) so you can travel to Rothenburg. An old imperial city, Rothenburg is the main tourist stop on the scenic Romantic Road of Bavaria. Explore hidden gems such as Old Town and Würzburg Residence. Explore the numerous day-trip ideas around Rothenburg: Wurzburg (Alte Mainbruecke & Romantic Road), Nuremberg (St. Lorenz Church, Kaiserburg Nurnberg (Nuremberg Castle), & more) and Bamberg Altstadt (in Bamberg). Next up on the itinerary: steep yourself in history at Town Walls and admire the striking features of Stadt Rothenburg ob der Tauber. To see traveler tips, other places to visit, where to stay, and tourist information, go to the Rothenburg trip app . The Route module can help you plan travel from Usedom to Rothenburg. In March, daily temperatures in Rothenburg can reach 10°C, while at night they dip to 1°C. Finish your sightseeing early on the 26th (Tue) so you can drive to Garmisch-Partenkirchen. Nestled within the Bavarian Alps, Garmisch-Partenkirchen offers a classic mountain feel along with world-class winter sports. Discover out-of-the-way places like Zugspitze and Partnachklamm. 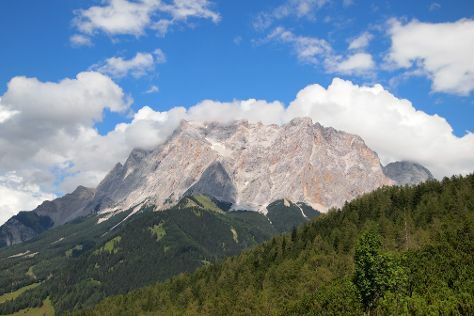 Get out of town with these interesting Garmisch-Partenkirchen side-trips: Altstadt von Fuessen (in Fussen), Schloss Hohenschwangau (in Hohenschwangau) and Schwansee (in Schwangau). The adventure continues: step into the grandiose world of Linderhof Palace, admire the striking features of St. Peter's Church, see the interesting displays at Munich Residenz, and have fun at Tennishütte im Tennissportparadies Grainau. Plan a trip to Garmisch-Partenkirchen easily and quickly by telling Inspirock to suggest an itinerary. You can drive from Rothenburg to Garmisch-Partenkirchen in 3 hours. Other options are to take a train; or do a combination of train and flight. Traveling from Rothenburg in March, you will find days in Garmisch-Partenkirchen are a bit warmer (14°C), and nights are about the same (0°C). Finish your sightseeing early on the 30th (Sat) so you can travel back home.